Following the Legends of Poker, the World Poker Tour (WPT) made another stop in Cyprus. Since last weekend, the poker tour has invited all European poker fans to participate in the WPT Merit Classic North Cyprus while enjoying the sunshine of the Mediterranean island. This second stage of the WPT XIII season, the first being in Europe, is held at Merit Crystal Cove Hotel & Casino until September 10. With a guaranteed prize pool of $ 1 million, the $ 4,400 buy-in WPT Cyprus Main Event brought together 311 players (150 players on Day 1A and 161 on Day 1B); and thanks to the re-entry formula to level 10 of Day 2, the number of participants rose up to 404, generating a prize pool of $ 1,471,300. That amount of money will be shared out between the 45 best players of this poker tournament. On Sunday, after five levels of play, only 79 players survived during the Day 2 of this WPT Merit Classic North Cyprus. 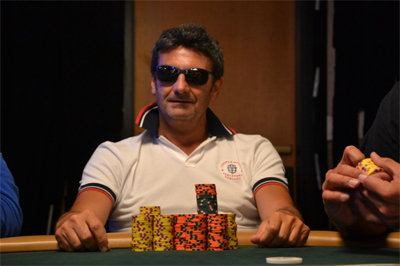 The chip leader at the start of Day 3 is Antonio Buonanno. He possesses 428,000 chips in hand. Eight other players also enjoy a comfortable lead at the end of the day with more than 300,000 chips: Dmitry Katayev (377,000 chips), Alexander Bogdanov (367,000), Dursun Anar Sheref (335,000), Oliver Price (318,000), Nicolas Chouty (316,500), Christian Christner (312,000), Alexander Lakhov (309,000) and Stefan Schillhaber (301,500). The final table will take place this coming Wednesday, September 10. Speaking of the prize at stake, the first place will cash $ 310,000 along with a ticket to the WPT World Championship. As for the first eliminated ITM player, he will receive a consolation prize of $ 8,500.